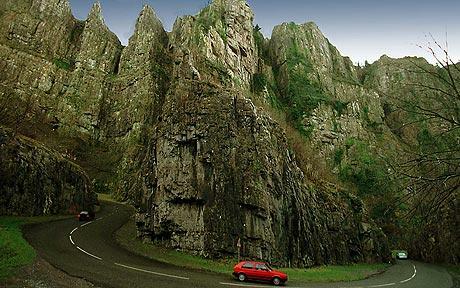 This route takes a long loop out to the West of Bristol to Cheddar Gorge (famous climb). The route incorporates about 1000m of climb and can be consider pretty tough on the legs to say the least. It's hard to explain, so I'll leave it Strava to tell you the route. Please note there's a bit of a jump in the route on descent from Cheddar. This was when I was a little derlirious and paused the route for one of the fastest sections... oops. For an alternative route to and from Cheddar Gorge, here's another map.